Benefits They’re Real! Push-up liner has been out for a little while now and is a lash-hugging gel eye liner pen. When it was first launched I was really keen to try it but then I saw really mixed reviews about it and with a price tag of £18.50 I decided to give it a miss. 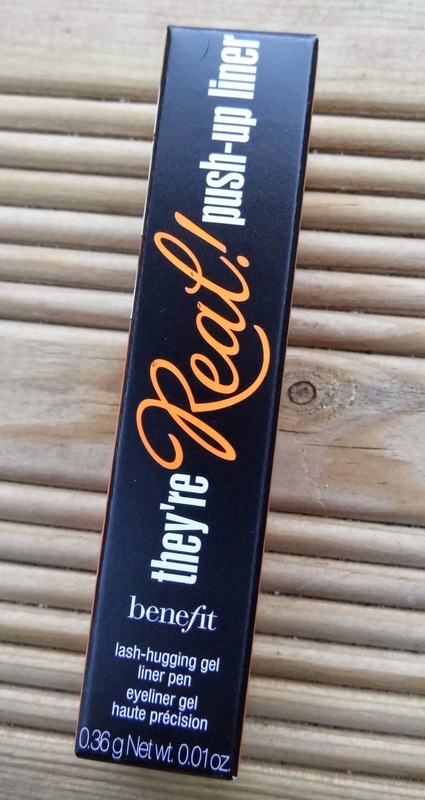 Then recently I popped to my local Benefit counter to pick up some more They’re Real Mascara and noticed for the price of £19.50 I could get ‘The Real Steal’, my mascara plus a mini ‘They’re Real Push-up Liner. A bargain! So of course I made the purchase. I am so glad I did as I’ve been pleasantly surprised by the push-up liner. It’s pretty easy to use, you twist the nozzle to push up the gel liner to the tip. The top bit does dry out so I now squirt the first bit of gel onto a tissue. Then you slowly guide the tip along the lash line. I found the slanted top meant I could apply it evenly to both lash lines – wahooo! I use to end up with one thick line and one thin when I’ve used brushes to apply gel liner in the past. It does also get into those spaces between lashes and is really long lasting and stays put all day! 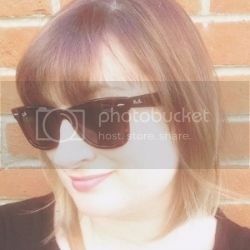 The only thing I didn’t like was the texture of it, it’s a but chalky and seems to dry out quite easily, I’ve found a few times that mid application it will come out lumpy and just fall off, making it hard to apply smoothly. I absolutely love the applicator and hope other brands expand on this style, I’m just not 100% sold on the consistency of the gel, so I’m not sure I will be investing in a larger tube. I love the applicator, I'm rubbish with eyeliner but I found this one easy to use. My only problem is how difficult it is to remove! !